This blog also posted the first to tape and post a full length video of the first debate held with all four candidates that was hosted by National Women’s Coalition Against Violence & Exploitation and UniteWomen.org. Reviewing all of this material, from the questionnaires to the video I quickly saw the choice for me wasn’t going to be that easy. As I said, all have good résumé’s and the experience required for the office. But, as I said above, only one of the four can hold the office. As stated in a previous post, I am going with Chuck Atkins as I feel he has the most current experience for the job having served in our Sheriff’s Department for 35 years, rising to the top levels within it. John Graser also has a similar lengthy experience, but I feel his 17 years in retirement would require too much catching up at a time we need a Sheriff ready to hit the road running. Much has changed in that 17 years around the community and in law enforcement. Chuck Atkins retired in 2012 and in my estimation, he is much more current. Shane Gardner and Ed Owens are also very good candidates and both can cite strong Military backgrounds. While Chuck did not serve in the Military, that alone is not a requirement for Sheriff. 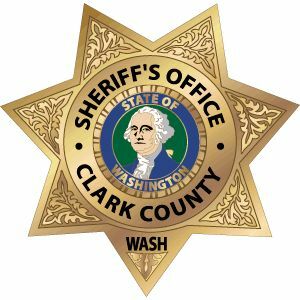 I looked at experience within law enforcement, primarily our own Clark County Sheriff’s Department and Chuck Atkins holds an edge there. While others endorsements do not necessarily play much of a role in my decision, it cannot be helped but notice how many other law enforcement personnel are supporting Chuck. Who better actually knows each candidate than those that worked with them over the years? The local paper endorsed both Shane Gardner and Chuck Atkins to make it through the August Primary. The main difference I see in both men comes down to experience, Gardner being a Sergeant currently on patrol, but Atkins achieved the level of Sergeant, then Lieutenant, then Commander and finally, Assistant Chief before retiring to run for the position of Sheriff, an elected office. Clearly Atkins rises above Gardner where actually Command Experience is concerned. On the plus side for Gardner, he is bilingual, being fluent in Spanish. That can be very helpful in certain situations within the Hispanic Community where someone confronted by a Deputy doesn’t speak English. But would they really have the time to wait for the Sheriff, whose duties go well beyond every day patrol and may require him to be out of town or in meetings, to come out to translate? Being bilingual is better suited on patrol for our community I feel, instead of in the office. Still, I feel Gardner will make a good Sheriff in the future as he gains more experience on par with Atkins. On a more personal perception, even though each Deputy is a professional, I also think there is a potential for at least a small level of ill created should Gardner, a Sergeant jump ahead of his superiors. Human nature what it is, I just feel those other Lieutenants and Commanders might end up feeling a bit slighted should he win. And again, that is nothing but my own personal perception, not based on anything I have heard or seen. As I said, this wasn’t an easy decision for me and I have been contemplating on just who I feel would be the best of the four. But when I compared experience within our Sheriff’s Department and being up to date on our County, clearly Chuck Atkins holds an impressive edge over the rest. We have four well qualified individuals vying for office this election, but I will be casting my vote for Chuck Atkins. Good food for thought Lew. I am planning on supporting Gardner, but you made some good points about experience. I think the staff at CCSO will be able to rise above any feelings of resentment, so I don’t think Gardner jumping ahead of others should really be a problem. I like Gardner’s sanguine gregariousness – I think that’s a good fit for Sheriff. The Sheriff is not only the face of the Department to the public, but he is also the face of the public to the Department in a manner of speaking. Atkins is a bit too reserved in my opinion – though he is certainly qualified for the job. Well, after viewing the Columbian editorial board interview with all 4 candidates, I’ve changed my mind on Gardner. I’m supporting Atkins. If you view the video, you’ll understand why. I have no doubt he will inspire greatness and bring about innovation to the Clark County Sheriff’s Office and that every line office will be proud to call him their Sheriff and follow him after he is elected. Lastly, for those worried about experience running a police department, Shane will undoubtedly choose an Under Sheriff with complimentary skills to assist with day-to-day management of police operations. Operations management is is not the primary job of Sheriff. The primary job of the elected Sheriff is to help shape the culture and priorities of the police agency to align with the needs of the community and to work with other community leaders and the police organization to solve these issues. This requires a different skill set than that of a tactical manager. Shane stands head and shoulders over the other candidates on the quality of leadership. Your effort to taint Chuck by claiming he was in “senior management” positions when many problems surfaced neglects that Shane was also there and neither were in the position to make decisions, that fell on Garry Lucas. I also disagree with you where experience comes in. While whoever wins in November will undoubtedly make much needed changes, it is experience that will determine what changes are best in my opinion. That last thing we need is an inexperienced novice experimenting with social agendas when strong leadership is needed. If experience plays little, we could just take anybody off the street to be Sheriff and I don’t think either of us would like that. And, even though it played a marginal role in my decision, that so many law enforcement people back Chuck is impressive. They know the capabilities of each candidate much more than we do. Thanks for the reply Lew. think its a healthy exchange of perspectives and appreciate the blog and open exchange of ideas. I think we both agree that experience is important…but I just feel you put too much weight the number of years or the rank an individual obtained to qualify a candidate . Shane has over 15 years with the Clark County Sheriffs Office and is still working there…15 years is a LOT of experience to draw from…we are not talking about anybody off the street. Your next argument seems to be that, even though Shane has 15 years with the Sheriff’s office in a variety of roles, including the Community Outreach Sergeant role (a role that Garry Lucas had before he was elected Sheriff at about Shane’s age I might add), that his level of management experience has not been high enough. You contend that you must have been at least a Commander to be anointed Sheriff. This seems to be Chuck’s main argument in the campaign as he routinely disparages Shane as “just a Sergeant” in his closing arguments of community forums. But this very top down, hierarchical way of thinking about who is qualified to serve in leadership roles is precisely the kind of “old school” and outdated thinking that is stifling innovation at so many government organizations and is the point that the article in Police Chief Magazine was making that I excerpted in my original post. As junior patrol officer or mid-career prison guard I’d feel reluctant to offer new ideas to my leadership if the culture was such that only the perspective of those with rank of Commander of above was valued. Can you imagine working in a culture where you were told, “You are only a patrol officer, leave it to your superiors to do the thinking.” I’d also be less likely to go above and beyond my basic job description or take leadership initiative if I knew I’d be passed over for promotions based on years with the force or counts of people supervised. Shane has done a very courageous thing by running for Sheriff. He has raised his hand as a Sergeant and asserted himself as a leader. This very act shows he’s no ordinary Sergeant. His courage to see things that need to get done, changes that need to be made, and not waiting for someone else to do it but step up to lead shows his character. What better way to inspire his colleagues who also may have untapped potential to be more than to run and be elected Sheriff. Some of his colleagues may back Chuck now because he is familiar to them as their former supervisor or because they have been told that only supervisors can be leaders…but once Shane is elected they will appreciate having someone who is a great listener, a great communicator, open to new ideas from ALL parts of the organization, and does not stifle innovation and acts of leadership but rewards it. Let’s face it, the world is changing. Successful organizations are flatter and more inclusive. Facebook was founded by a guy in college…innovation and leadership come from unexpected places and organizations too rigidly focused on promoting the guy who has never worked for any other organization since high school are being left in dust. As I said, everybody must vote according to their views. And yes, experience is a biggie with me, especially top level experience. I have no problem with Shane, but being a Sheriff is much different than being a Patrol Deputy or even an Army Officer. Maybe because I am an “old guy” myself, but I see nothing wrong with some of the Old School and feel our country would be better off if we returned to much of it. Just because something is old doesn’t mean it is not functional any longer. I do think that one day Shane will make a very good Sheriff, after he gains more law enforcement experience. But for now, I feel jumping from Patrol, even as a Sergeant to Sheriff is too much a leap and Chucks Command Experience within the Department is a strong asset. So I’ll stick with Chuck. Long time no chat. I appreciate your work on the Sheriff recommendations. I was surprised at the lack of extensive coverage, nice to see you pick up the ball. 2. Response to marijuana legalization – how do we reconcile Federal vs. State law? Bonus point on what to do with county law? I’m watching the video now, and kudos to everyone who participated for that. Thanks for the response. I hadn’t read the first interview (due to time constraints) and am impressed by your question. 2nd Kings 20:3 I beseech thee, O LORD, remember now how I have walked before thee in truth and with a perfect heart, and have done that which is good in thy sight. And Hezekiah wept sore. Sorry about comments closing after a bit, but I was forced to do that as older articles were being heavily spammed, approaching 700 a day. Without digging out the old Strong’s, I’m going to assume differing definitions from translation of the original to the word “perfect.” And some of the original carry multiple meanings too, I remember that from studies long ago. But, maybe close, I did ask all of them their view of what went on down in Bunkerville, NV.